Is that your computer that just sneezed? Computer systems suffer from viruses, just as humans do. The virus will also spread to other hosts, just like it’s human counterpart. World Health Day is a global health awareness day celebrated every year on 7 April, under the sponsorship of the World Health Organisation (WHO). But it’s not just humans who suffer from health issues - your computers also suffer, too. Think about it - computer systems suffer from viruses, just as humans do. The virus will also spread to other hosts, just like it’s human counterpart. Computers get old, too. The older the system, the more vulnerable they become. 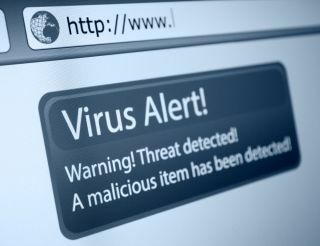 As more viruses and exploits become more available, our systems simply can’t keep up and start to fail as the computer gets old. Sound familiar? What happens if you leave a human alone, don’t give it any love or attention, don’t supply any medication to them and just let them get on with their life? Eventually, they will become sick. The sickness could spread to other family members, and before long, they are vulnerable and exposed to the elements and could potentially lead to death. Using the same analogy, isn’t this the same with computers? If you leave that critical server alone, let it get on with its life, don’t patch it with latest security patches, and don’t give it any anti-virus software, won’t it eventually become a victim of attack and potentially die? Some of the points below directly link how a human survives and how a computer system survives. Humans strive for social interaction. We should always ensure that we have a good support network so that the person can share emotions and their feelings with others. If they are not feeling well, or need support on a particular sensitive subject, they need to turn to someone. Computers have the ability to log what is wrong and supply audit trails. If we are not monitoring these logs or collating them, we won’t see what is going on. SIEM’s or log aggregators would collate all that important log information from the system and identify potential events of interest. Humans need to be looked after. If they fall ill, or have an accident, they call on medical professions to help respond in an instant, such as call the doctor or worse case, ambulance. Computers need that sort of care as well. With a good incident response program in place coupled with resilience and disaster recovery programs, administrators can respond quickly if a system goes off line or suffers an attack of a virus or similar. Humans require assurance from their doctors from time to time that they are fit and healthy. They attend regular health checks to ensure they are on the right track. Computers respond much the same. Similarly to health checks, regularly scanning systems with a Vulnerability Management solution will help to detect any exploitable problems with the system. Humans receive inoculations right from birth that help to prevent them from being exposed to known viruses and reduce the risk of being exposed to life-threating illnesses. Computers have anti-virus software. With their signature based scanning technology, they can help detect known threats in real-time and provide a layer of security that could help prevent life-threatening attacks on the system. Humans created laws to help keep them safe. The majority of persons on the planet adhere to these laws, which are designed to keep order and give people their rights. The same goes for regulations and best practices, guidelines to help keep people on the right track. Computers have to adhere to rules and regulations as well. Systems that process card data have to adhere to PCI DSS standard, and if they are not compliant, fines are imposed, just like a judge would fine a person if they breached a law. There are also good practices and guidelines out there to harden computers to help prevent attacks on weakened systems. CIS Critical Security Controls are a good example of steps that companies can take to help prevent breaches occurring. Humans are using technology more as wearable technology reaches a new high. A lot of people wear fitness trackers, helping to diagnose health problems at an early stage and some will report the level of health directly back to their doctors who can help diagnose early problems. Computers have such a technology as well. SCM (Security Configuration Management) tools contain a change detection solution which will monitor endpoints for changes. As soon as a change is detected and validated it’s an unauthorised change, the administrators are notified and appropriate actions can be taken. The detected change can be sent to a threat intelligence provider to be analysed in the same way doctors would send biopsies for analysis to see if it poses a real threat to the patient. Humans should exercise and take up activities that help promote good health. Lack of exercise could lead to problems further down the track. Computers don’t have this problem, or do they? You could argue exercise could be seen as something bad for a computer as it may be interpreted as wear and tear. However, you could also say that stress loading a system under a test environment would help identify weaknesses. Humans and computers are not all that different when it comes to health. On April 7th, as we promote awareness of World Health Day, why don’t you run that quick Vulnerability Management scan against your computers to see if they are healthy, or review those unauthorised changes? And of course, make sure your systems are patched to the latest security releases and you have adequate protection! Help make the world of technology a safer and more secure place on World Health Day.